The time is now to change myself as a person. It's a big deal and the hardest thing i will ever go through and i have decided to post my progress in hope of a pseudo counseling session. Join me in the journey of new discovery. Gotta hand it to Phil, he is slowly making some moves and even though as a Knicks fan i am trained to wish for the best and accept the worse, there is nothing about this deal that i can be negative about. The Bulls will acquire Robin Lopez, Jerian Grant and Jose Calderon in the trade. The Knicks will also receive Justin Holiday and a 2017 second-round pick"
I really liked the energy and hustle Lopez played with and his contract wasn't horrible at all, considering how bad contracts are about to get ( rumors are Noah is looking for MAX money 4 yrs 120!!! ). Jerian Grant has the potential to be a very good pro in this league and i hoped to have developed him. Calderon is way past his prime, he played with alot of heart but the man's skills are diminished beyond reproach. Derrick Rose was an MVP in this league averaging 25ppg and about 8 assists a game. The current version of Mr Rose is no where near that. What he is though is still one of the better PGs in the league. He can still attack a defense, commands attention from the opponents D and he can play decent defense. The trade is a win, win for the Knicks. 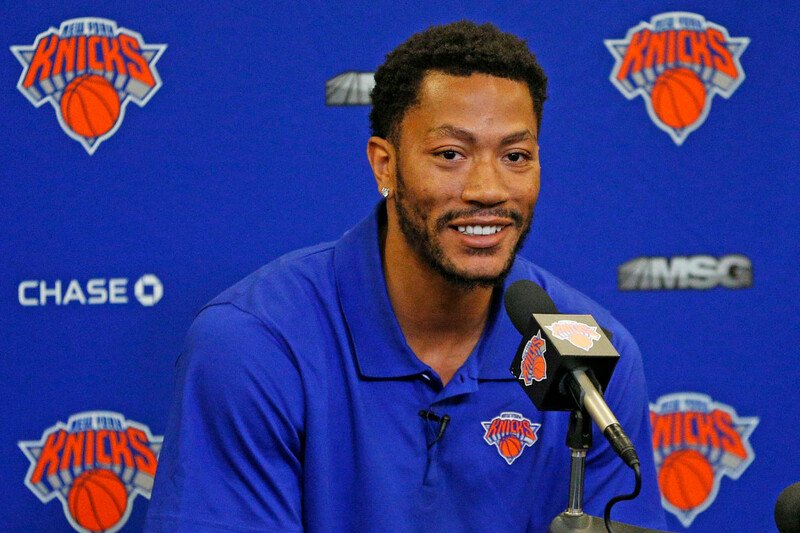 Rose has new life in NY. The mecca. Where the lights shine bright. 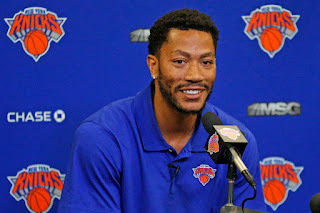 If he can reclaim some of his former glory he can earn himself a long term deal as a free agent or re-up with the Knicks. If he doesn't work out, just let the contract expire and we regain cap space for 2017 and make a HUGE push for Westbrook. The Knicks now focus on getting a replacement for Lopez in the middle as i can't see Porzingus manning the middle due to his strength issues. We also need a SG and the list is light. I would welcome a Jamaal Crawford return or maybe give Eric Gordon a chance to prove himself. Jordan Clarkson would be a great player to target also. Things are looking good for the Knicks and the best part? We own all our picks next season! !